The full form of PCI is Peripheral Component Interconnect. In the device manager, the PCI is nothing but the piece of hardware that is plugged into your system’s motherboard. In simple words, PCI is used to connect all the devices to computer. Generally, the PCI is plugged on the motherboard in the PCI slot. As it is the PCI simple communications controller and PCI data acquisition & signal processing controller works as a connector to your system / computer. PCI device driver missing Windows 7, 8.1, 10 is nothing but missing of Management engine interface Intel drivers. 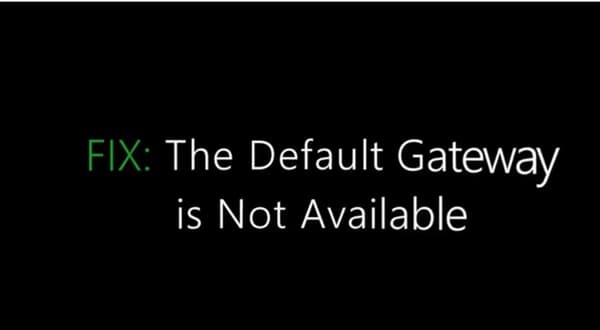 This missing of PCI drivers occurs mostly during upgrading your Windows system. All drivers may upgraded and installed correctly but this PCI fails or cannot install correctly. However, PCI are hardware devices that helps to run your system smoothly. The PCI drivers are very important as if those fails to work accurately, you will face issues with your system. On downloading the management engine driver of Intel for Windows 10, 8.1, 7 will fix the issue of PCI device driver missing issue. 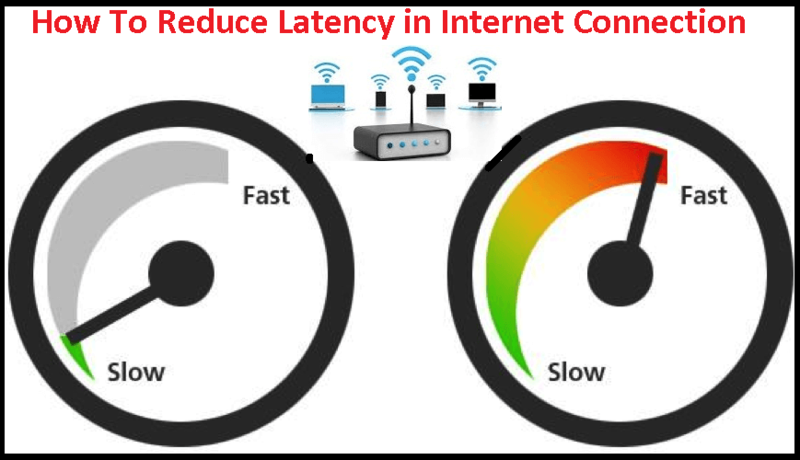 We have researched for the solutions for the download PCI simple communications controller driver Windows 10 and found the following ways to fix the issue by yourself. 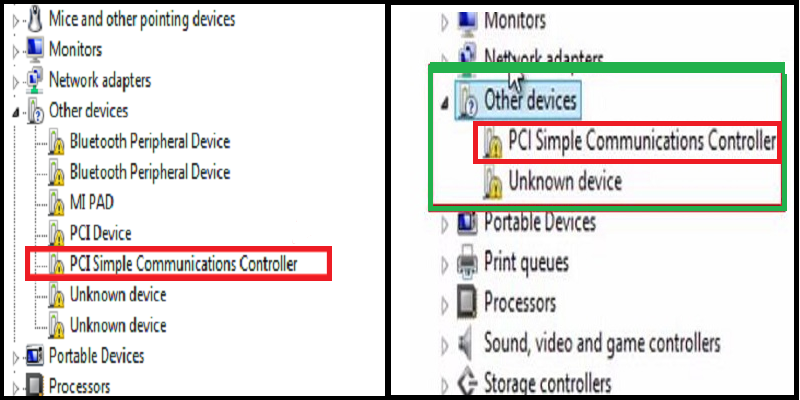 The download PCI simple communications controller driver using device manager is the simple way. If you have already tried this solution move on to the next solution directly. Initially, hold Windows + R key simultaneously to open Run. Start typing devmgmt.msc in the space provided parallel to open. Next, click on OK button or click on enter button. 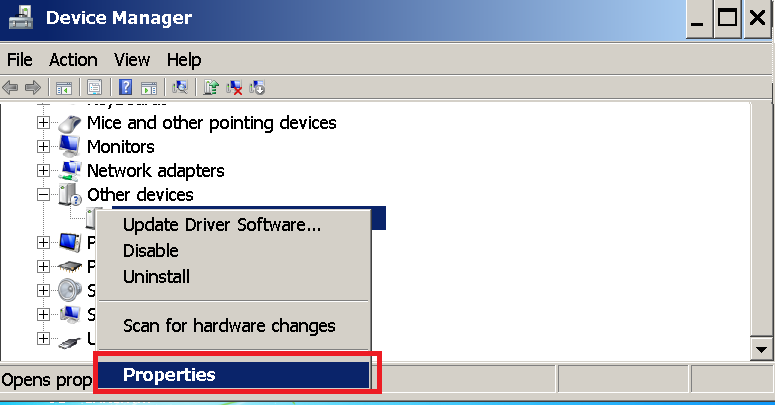 Or Go to Windows or start option, search for device manager select the option as shown in figure. 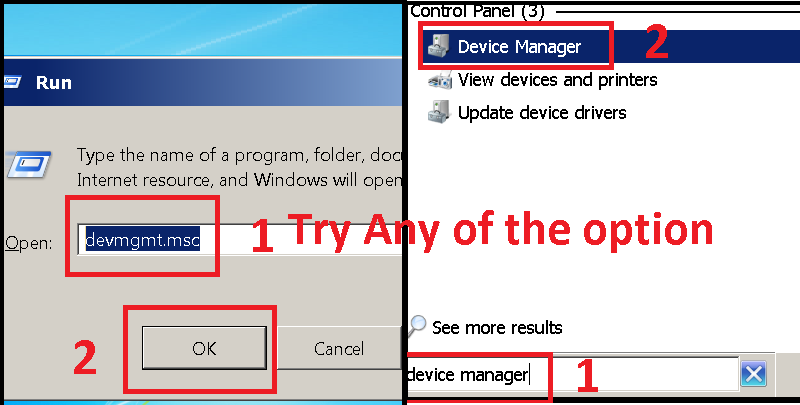 On applying any of the above option, a new window of device manager opens, navigate to other devices and click on it to expand it. Under other devices, search for PCI simple communications controller. The two images displays the same but shows the options availability on different computers. 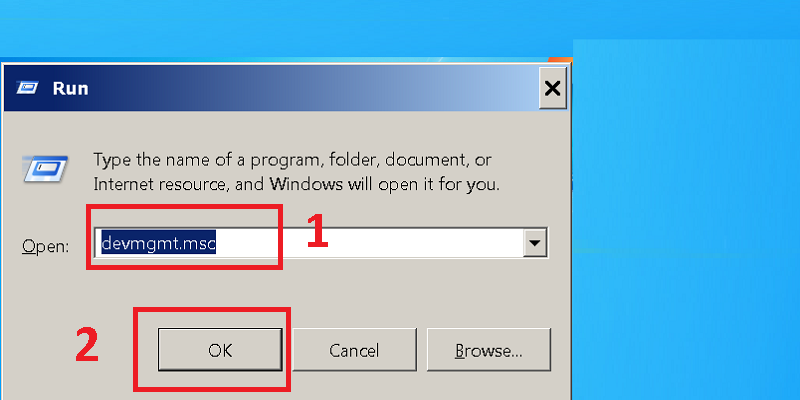 After locating PCI, right-click on it from the drop down list, select update driver option. 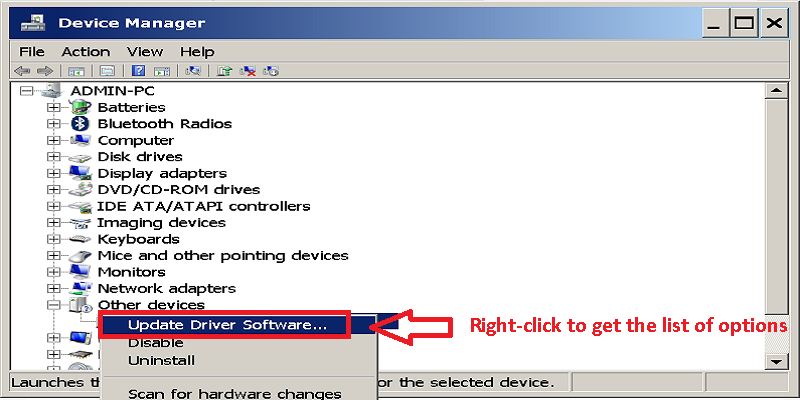 Now, the system opens a pop-up window, select the first option search automatically for updated driver software as shown in the figure. 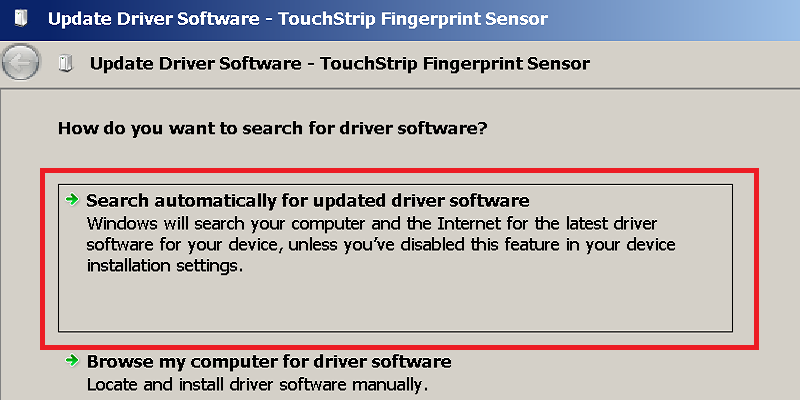 However, the Windows will search for the drivers automatically and will download & update automatically. 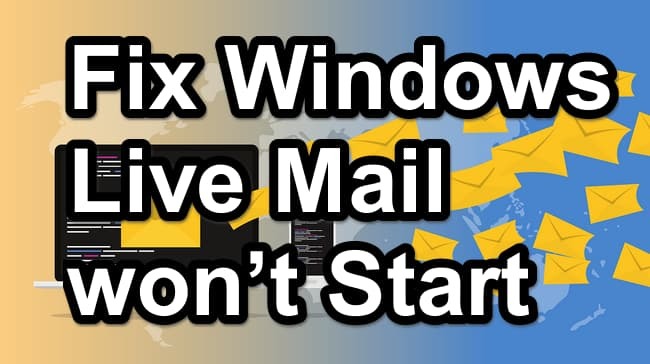 Note: In case, the Windows prompts a message that Windows already has latest version of PCI simple communications controller and your problem still persists follow below solutions. Some of the people are not aware which driver to install, to avoid this situations follow below steps. Simultaneously, click on Windows logo + R key. On the Run window, type devmgmt.msc and click on enter or ok button. The device manager window open, search for PCI device under Other devices category as shown in the figure. 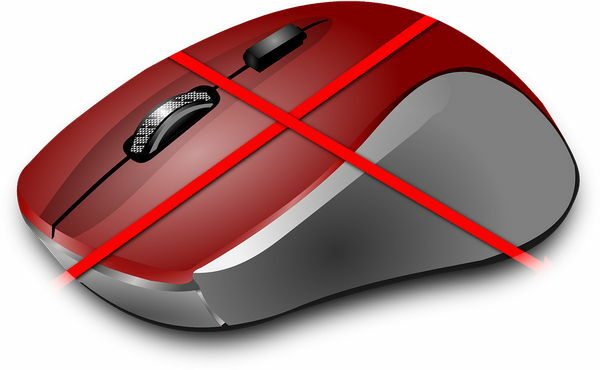 Double click on the PCI device or right – click on it from the list, select properties. Navigate to details tab, click on Hardware IDs. A pop-up window opens. First of all, right-click on the first ID and copy it. 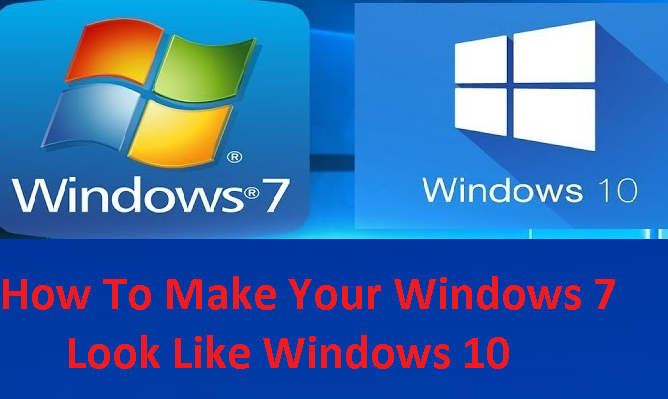 Paste the same on the browser search engine and add driver or your Windows operating system (Windows 10, 8.1, or 7) to find the best result. Download the appropriate driver from the search list. After download, click on the downloaded driver file, if the file is in zip format, unzip it. 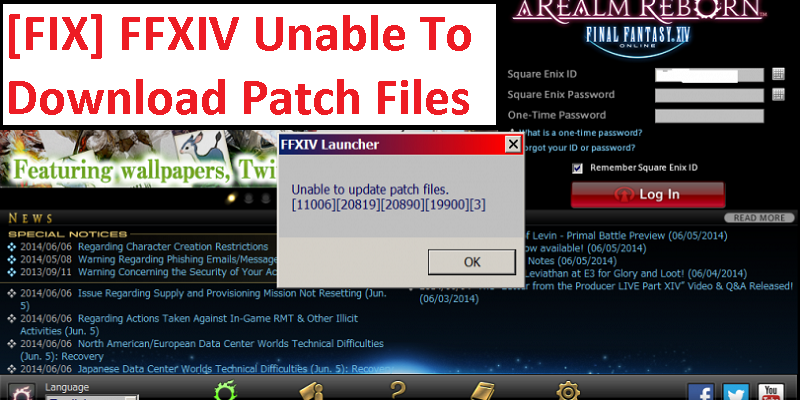 Next from the list of files, click on .exe file to download the drivers. A prompt window opens, click on Yes button to give permissions to run the exe file. Now, follow the on screen instructions of the driver provider to install them into your system. ** If you find the above procedure tough to follow or you are not found of tech procedures. The next solution is the best way for you to download the appropriate driver for your system. For using the third party software there is no need of any computer skills. Just download the third party software as you download and install general software in your system. The driver easy will recognize the perfect drivers for your system. As the driver easy will take care of everything and will recognize the missing drivers and exact drivers for your system. There is an option to update drivers with free and pro versions. In pro version the driver download will be possible with two clicks. Follow the below steps to download and install driver easy software in your system. Download & install driver easy into your system / computer. 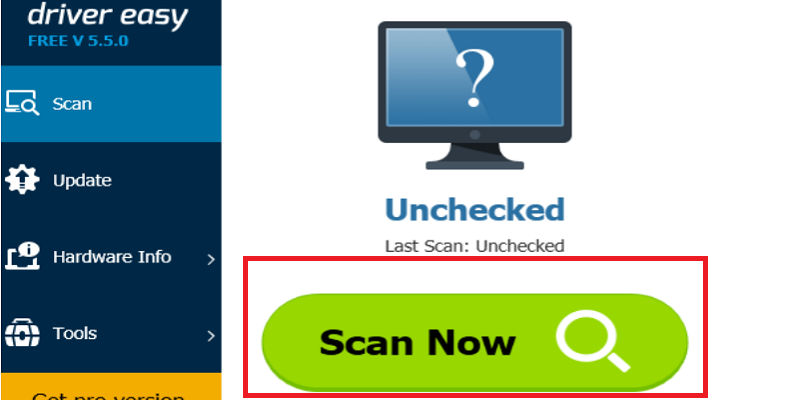 Open Driver easy and click on scan now button. Now, the driver easy scans your system / computer and also detects the problematic drivers. Click on the update button present next to the driver name. This helps to download & install exact driver and latest version of driver. 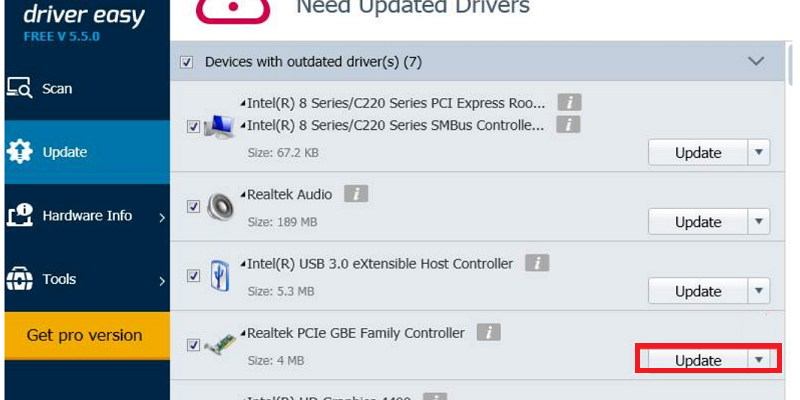 Pro version has the option to download & update all the drivers at a time. The DriverDR scans all your computer like motherboard, chipset, slots and finds the outdated and missing drivers. Using this DriverDR software, you can download PCI simple communications controller driver for Windows 10, 8, 7 with ease. 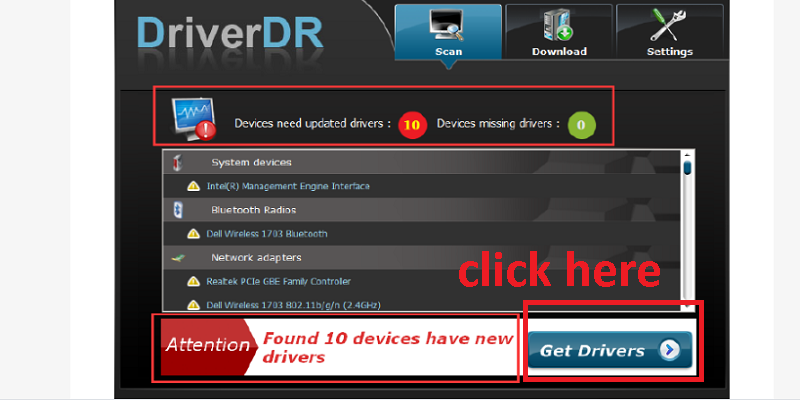 Download and install DriverDR software in your computer. 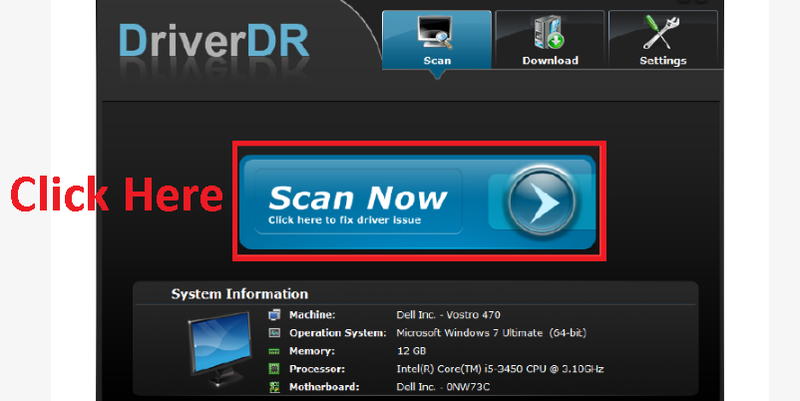 Open the DriverDR and click on scan now option. After completion of scanning, the screen shows the missing drivers and option of Get drivers. 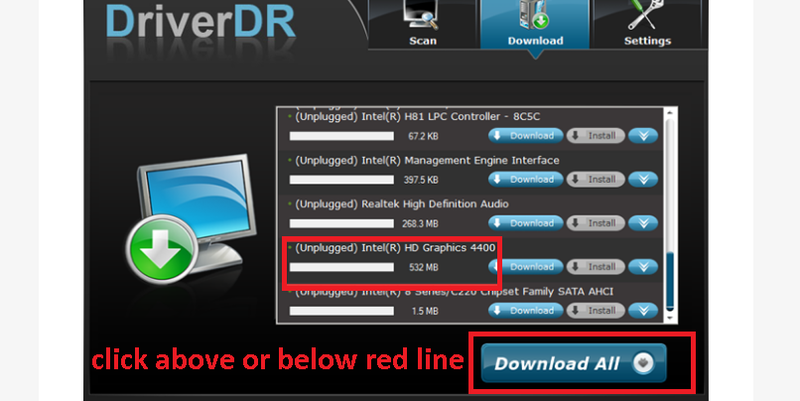 According to your requirement, click on download option parallel to Intel or download all button to get all the drivers. Finally, click on install button to complete the installation process of downloaded drivers. This helps to download Intel management engine and this will download the PCI Simple Communications controller driver. 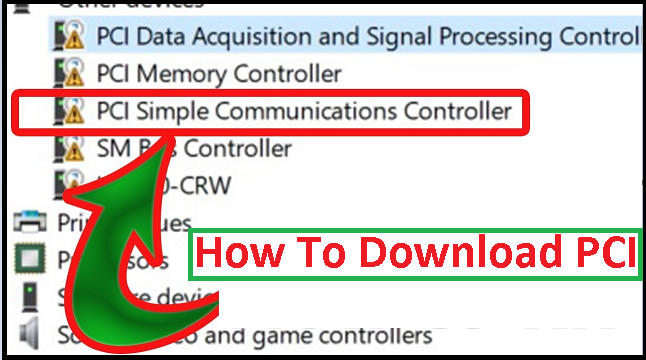 The above solutions to Download PCI Simple Communications Controller Driver Windows 10 help you to get the appropriate drivers successfully. 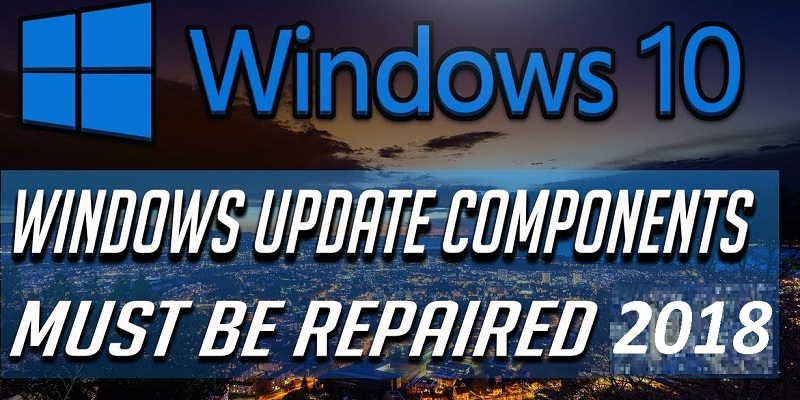 If you have any queries, doubts or errors regarding Windows, let us know in the comment section. We will get back to you at the earliest possible.